Family members and very close friends will always care for one another. However in some circumstances, families may need to take special measures if someone in their family or a close friend is unable to look after themselves. Here we provide an overview of how family members can ask for permission to take responsibility for someone else by becoming their Guardian. Our expert Family lawyers are very familiar with the law surrounding Guardianship and can help individuals understand this complicated area of the law during what is likely to be a stressful time in their lives. The idea of becoming the Guardian for a member of your family may sound quite strange. However a Guardian is someone that has been given legal responsibility for someone else who is unable, for reasons of incapacity, to make decisions for themselves. Anyone can become a guardian. However you must have some form of relationship with the person that you are hoping to look after: you may be a family member or friend. A Guardian can also be someone that is not a family relation but has a professional relationship with the individual, such as an accountant. When can I apply for Guardianship? Children who have unexpectedly lost their parents, and who have not reached an age that they will be able to look after themselves. Will you only be caring for their financial affairs? Will you only be providing for their emotional care? Will you be acting for them in respect of both their financial and emotional care? It is very important that you are able to show the court why a Guardianship Order is justified, and how you will be able to discharge your responsibilities if you are granted the order. Becoming someone’s Guardian is a role that should not be adopted lightly. You should think very carefully about the needs of your relative or friend, and if a Guardianship Order is the best mechanism to meet those needs. In making an application to become a Guardian, the court will need evidence that this is in the best interests of the individual that will be subject to the Guardianship Order. The court may also be interested in the views of others on your becoming a Guardian. Ultimately, the court will need to be assured that a Guardianship Order is the best way to ensure the welfare of the person concerned. What happens if I become a Guardian? If you become a Financial Guardian you will work with Public Guardian in carrying out your duties. Similarly if you become a Welfare Guardian, your Local Authority will be in contact with you to provide support and assistance if needed. Guardianship is a little known mechanism that individuals can use to care for their family members or friends. 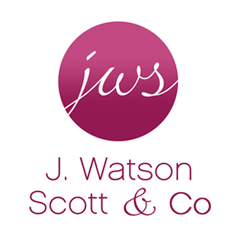 The process of applying for a Guardianship Order may appear a little daunting, involving a lot of interaction with the courts, but at J Watson Scott & Co Solicitors Hamilton, our expert team of Family solicitors are waiting to help you. We have a great deal of experience in working with clients to pursue Guardianship Orders. If you have questions about becoming a Guardian, or perhaps have questions about what your new role involves, please contact us. Our Hamilton office is convenient to Motherwell, Larkhall and areas beyond. We have a long history of advising clients on this area of the law and will be able to answer any questions that you may have.